Nobody Told Kelly Ripa That Michael Strahan Was Leaving — & She’s Furious! 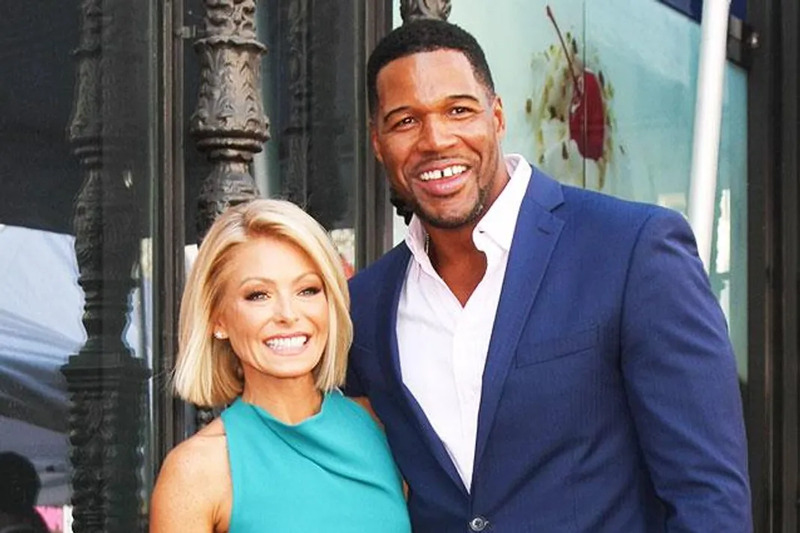 Kelly Ripa “was blindsided” over co-host Michael Strahan’s departure from show Live: Kelly and Michael. Strahan, 44, is leaving the ABC daytime show to serve as co-anchor on ABC’s Good Morning America (G.M.A) the network announced on Tuesday. However, Kelly, 45, is reportedly “livid” after she was not informed ahead of the announcement made by Disney executives. Former football star Strahan successfully replaced Kelly’s co-host Regis Philbin in 2012 on Live with Kelly Ripa, and is now being drafted in to the network’s flagship morning show to help win the ratings battle against NBC show Today. Strahan has worked with Good Morning America for the last two years as a correspondent. He also works as an analyst on Fox’s pre-game show for professional football. ABC will search for a replacement for Strahan for when he departs in the fall (16). However, Kelly may need to be appeased, as she is reportedly extremely unhappy at how her co-host’s departure has been handled.